I'm not good at keeping up with blogging. I don't usually know what to write about and how much of my own books would people really want to know about. I don't like being pushy and scream: BUY, BUY, BUY! Time is a precious thing. Between taking care of my family, house, and myself, it doesn't leave much time to write. I feel like my books are the priority when I do have that time, so my blog suffers. As does my social media. It's so weird how I can write a book, but blank out when it comes to blogging or social media posts. For those of you desperately waiting for updates on the 2nd book of the Beyond Earth series, I finished professional editing part 1 and sent it back to the editor. When she sends it back to me, I'll do my final edits while the cover gets made. In the meantime, I'm working on book 3 of the series and already up to 40k. And yes, I will still be writing more in the Between Worlds series, the Gifted Teens series, Falling for Fire, and Touch of Death. It amazes me how my favorite writers growing up could pump up books as quickly as they did. The Sweet Valley books, Christopher Pike's books, VC Andrews... how did they all write so quickly? Spread the word. Follow me. Believe it or not just one or two authentic follows makes a lot of difference in the crazy world of algorithms. If you've read one (or more) of my books, PLEASE leave a review. THIS makes a HUGE difference in Amazon algorithms. It also allows me to promote my books on more places because they require a certain number of reviews. I hope I don't disappoint any of you. Hang in there, the books are coming. 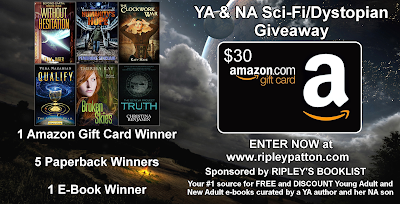 Enter this YA/NA Sci-Fi & Dystopian Giveaway for a chance to win books or an Amazon gift card. I know many of you watch for updates. Lots of times I don't have one. I'm just writing. I never really know when a book will be ready. I don't know how those that have release dates know. At least indie writers. I write, rewrite, wait a month, read it, edit, read it again, edit some more, then send it to a couple of people. If they're happy with it, it goes to my editor. Then I have to make those edits and if I'm not sure about how I did, I send it back to her. Whenever she's done, I send it to my formatter. So the end of publishing a book isn't even something I control. 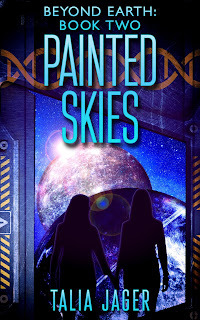 Beyond Earth Series: Book Two - Working on 2nd draft. Up to 77k words. I really hope to have it ready to go to an editor this spring. Between Worlds: Book SIX - Started a scene or two, haven't gotten far. I really want to, but I need to wrap up the Beyond Earth series first. This goes for the Spinoff of Lena's story as well. Not sure which will come out first. The spinoff or #5. We'll see. Falling for Fire - I plan on this being a series. I love Aurora and Sorin. So this will be a series someday. Same for Touch of Death. Definitely a series. Just not enough time to do them all. Which leaves me with The Gifted Teens. There is a book four. I have written some on it. It takes place a couple years after the third book. I'm definitely not done with Daxton and Kassia, Mira and Zane, or Auralee and Noe. As far as my other books, they're all basically standalones. I could make Secret Bloodline into a series, but not sure I will. The others have had their story told. Although when I do pay someone to edit Lost and Found, it will be getting a little bit of a makeover. I do have many other ideas. Some medical ones like a teen diabetic, another about a teen who cuts, and an aliens on Earth (series??). That's about it. I wish my fingers would type faster. I wish I had more time in the day to write. I wish I had more money to get things done faster. And sometimes life just gets in the way. 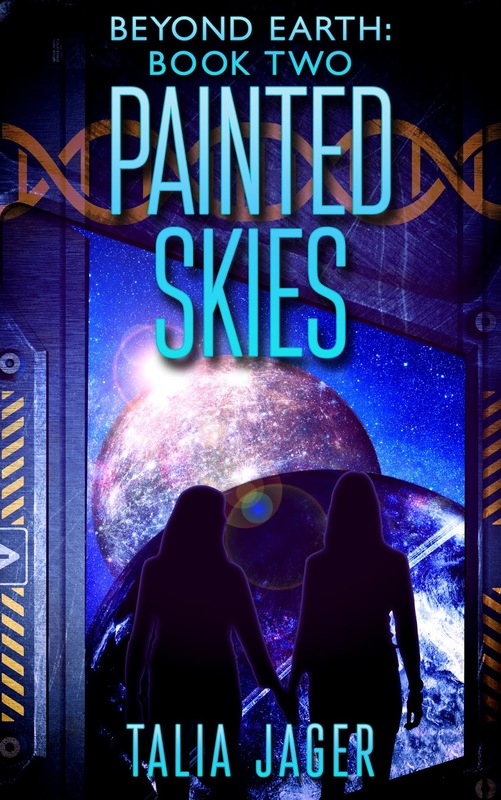 I thought I would have the 2nd Beyond Earth series book out last year, but I took 2 college classes and was NOT prepared for the amount of work they took. Then I had health issues which are not over yet. Plus teaching the kids, being a wife and mother, and all that comes with it. I can only promise that I will write until I can't anymore (and the way I love writing means I'll be dead for that to happen). It might take time for the sequels and new books to come out, but they will. Thank you, fans, for your love and loyalty. I love hearing from you!!!! 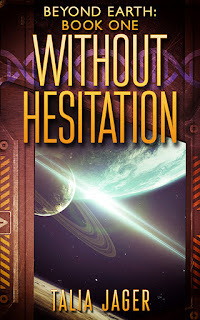 I am pleased to announce that my new book, Without Hesitation (Beyond Earth: Book One) has been released. You should be able to find it in all the normal places. Links will be included on the page for the book. The main characters in this book are 19-20 years old. I think teens would benefit a lot from reading it, but it is something that should be up to their parents. I am planning on a trilogy and I'm already working on book two, so I'm hoping to have it out before long. I know you all like dates, and I can't give you that, but as soon as it's done, I will have it out. 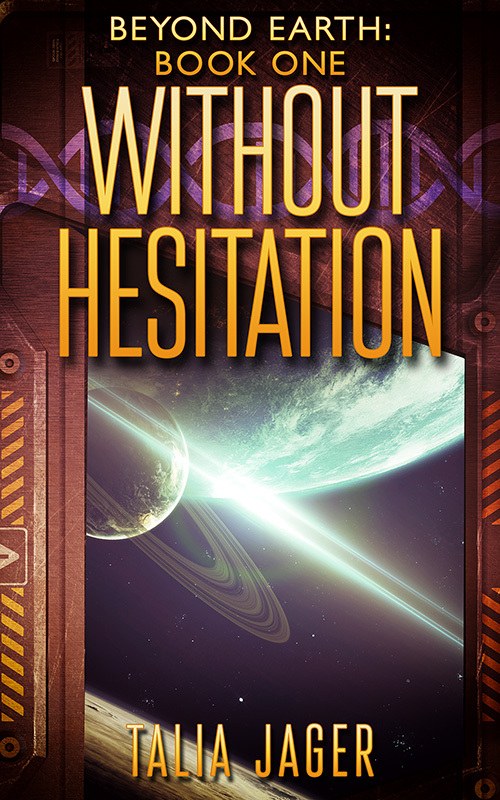 Without Hesitation is set a thousand years in the future. Earth has become a wasteland. Humans traveled into space to colonize other suitable planets. Labels and stereotypes are a thing of the past and gender and sexual identity are as fluid as love as humans strive to survive. Here we meet Everleigh, the commander of her ship named Nirvana. She is under the control of an evil madman, Caspar, who keeps her family captive. He sends her to Valinor to abduct the Empress Akacia. When she arrives, she is taken back by Akacia's beauty and when the Empress fights back, Everleigh realizes she has met hr match. Note: This is a LGBTQ story with a female/female relationship. Beauty is in the eye of the beholder. Popular saying. What does it mean? "Beauty cannot be judged objectively, for what one person finds beautiful or admirable may not appeal to another." "The perception of beauty is subjective." In short, what I find beautiful, you may not. Why am I blogging about this today? Every once in a while I'll read some of the reviews people have left for my books. A couple say something along the lines of why is this character beautiful or why don't authors write about ugly characters? I write in first person (only one of my books is NOT in first person). When that character describes someone, they might say, "She was beautiful." "He was gorgeous." And so on. It only means that my character found this other person attractive. It doesn't necessarily mean he/she is the hottest person who has ever lived. I might not think the person is attractive. You might not. But the character whose POV it's in, does. I urge readers to remember this when reading books. What the author or character perceives as being beautiful, others may not.